“How Suddenly Ceasing Antidepressant Use Can Lead to Addiction” was written by Greenleaf clinical team member Erica Smith, M.A., NCC. Erica has several years of experience working in the treatment field as a clinical therapist and has her Master’s Degree in Clinical Counseling Psychology from the American School of Professional Psychology. Greenleaf Center (www.greenleafcounseling.net) is a behavioral health and substance abuse treatment program that provides a number of different treatment options for adolescents and adults who are struggling with addiction. We focus on providing the highest quality of clinical programs that are led by a team of board-certified psychiatrists, therapists, and support staff that come from a variety of clinical disciplines. We strive to provide tailored treatment by meeting clients where they are at in their substance abuse struggles so that, when treatment is complete, our clients can leave our doors and confidently walk down the path to full recovery. Many people do not associate the use of antidepressant medications with addiction. However, when a person suddenly stops taking an antidepressant without the guidance of a psychiatrist, it can have a detrimental effect on the stability of his or her mood, putting that individual at risk for using alternative means of self-medicating. When people suffer from depression, they may experience such severe symptoms that it can become difficult for them to function appropriately on a daily basis. By targeting the neurotransmitters in the brain, most specifically serotonin and norepinephrine, antidepressant medications are able to level out the chemical imbalance and provide relief from the depressive symptoms . Typically, the full effect of antidepressant medications will not occur until the person has been taking the medication for between 3 to 6 weeks. As such, some people may become frustrated with the fact that the medication is not relieving their symptoms immediately and will discontinue use before the drug has had time to provide its full effect. On the other hand, some people may consistently take their medication as directed by their psychiatrists and find relief from their symptoms, only to then discontinue using the drug because they feel as though they are healed since they are no longer suffering from negative symptoms. In either case, the sudden ceasing of use can cause negative repercussions. For some individuals, suddenly going off their medications can lead to a tumultuous downslide back into the throes of depression. Their brains have become accustomed to the effect that the medication has had on it because it has leveled out the imbalanced chemicals and caused the stabilization of the person’s mood. When the brain is suddenly no longer receiving the medication that has led to this stabilization, the chemicals will once again become imbalanced, resulting in the sudden onset of the depressive symptoms once again. When this occurs, people might begin to look for something that they can use that will work as a fast-acting cure. These individuals are at risk for using substances that will work as quickly as possible to make them feel better. For some, this comfort may be found in alcohol and, for others, it may be found in illicit drugs like heroin. These substances will provide the relief that the person needs in a shorter amount of time and can potentially lead to the onset of an addiction. 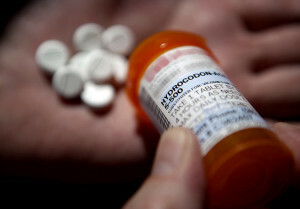 Some people will have been given a prescription for an antianxiety medication, such as Klonopin or Xanax, which is meant to work in conjunction with their antidepressant. Medications like Klonopin and Xanax are considered to be controlled substances, which mean that they have the potential for abuse or severe physical and psychological dependence . While the prescribing of these medications by a psychiatrist is done for legitimate purposes, such as treating the symptoms of intense anxiety, they have the potential to cause the brain to begin to crave them as a means of finding relief. These cravings can quickly lead to addiction and dependence as individuals become unable to manage their symptoms daily without taking these pills. Like other controlled substances, people will build up a tolerance to the effects, causing them to have to take an increasing amount in order to find the same level of relief. These controlled substances come into play due to the fact that many people who have been diagnosed with depression are also given a diagnosis of anxiety, as the symptoms of both tend to go hand-in-hand. For these individuals, psychiatrists may prescribe antianxiety medications to be taken in addition to the antidepressant medications in order to relieve overwhelming feelings of anxiety or panic. These medications produce effects almost immediately, unlike the prolonged period of time that it takes antidepressants to begin to take effect. When people see how quickly these pills ease their symptoms, they may begin to take them instead of taking their antidepressants. Suddenly, their depression is no longer being treated, but their symptoms are instead being masked by the pleasurable effects of the antianxiety medications. This has the potential to result in the worsening of depressive symptoms down the road. If you or a loved one has been diagnosed with depression and find it difficult to maintain the steady regimen of taking your medication because you are not receiving the effects that you want, it is imperative that the issue be discussed with a psychiatrist. Therapeutic interventions can help people overcome their symptoms in a steady, medically monitored fashion so that they can find true, lasting relief and prevent the development of addiction.